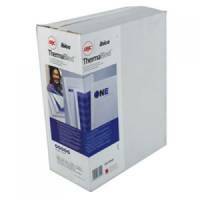 Fellowes Thermal Cover Standing 1.5mm Pack 100 Pack of 1 Fellowes thermal binding covers pre-glued and pre-scored for use with all thermal binding machines. 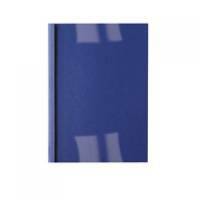 Fellowes Standing Thermal Cover 3mm Pack 100 Pack of 1 Fellowes thermal binding covers pre-glued and pre-scored for use with all thermal binding machines. 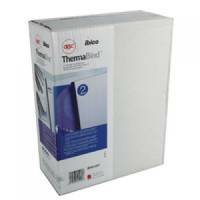 Fellowes Standing Thermal Cover 6mm Pack 100 Pack of 1 Fellowes thermal binding covers pre-glued and pre-scored for use with all thermal binding machines. 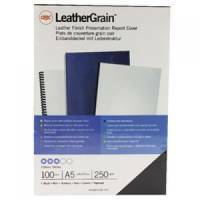 GBC LeatherGrain 250gsm A5 Black Binding Covers (Pack of 100) 4400017 Pack of 1 Classic, leather-look finish. Suitable for most binding styles. 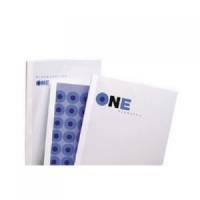 Made from sturdy 250gsm high content wood pulp and recycled materials. Size: A5 (148x210mm. Colour: Black. 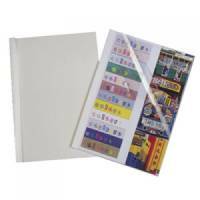 Pack of 100 covers. 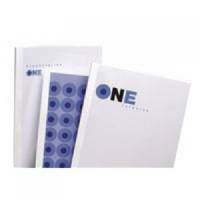 GBC Thermal Covers 1.5mm White Pack 25 Pack of 1 Feature a 150 micron; transparent pvc front cover for easy reading of the title page. 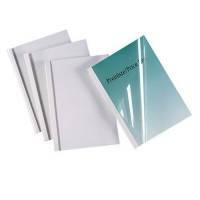 GBC Thermal Covers 6mm White Pack 25 Pack of 1 Feature a 150 micron; transparent pvc front cover for easy reading of the title page. 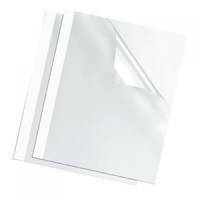 GBC A4 Thermal Binding Cover 1.5mm 200gsm PVC/Gloss Back Clear/White (Pack of 100) 387005U Pack of 1 High gloss White thermal covers with clear PVC front, and leathergrain look board with PVC clear front. 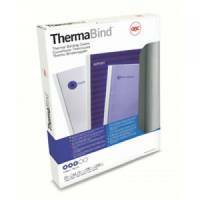 All covers for use with most thermal binders. Packed 100s. 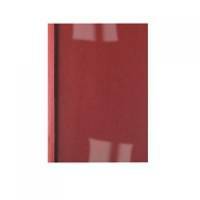 1.5mm (up to 10 pages) High gloss White.